The U.S. natural gas producer has projected implausible new possible synergies for its $6.7 bln deal. EQT also is brushing aside an admitted conglomerate discount. It’s dubious logic considering how insiders could reap healthy payouts simply for making the company bigger. 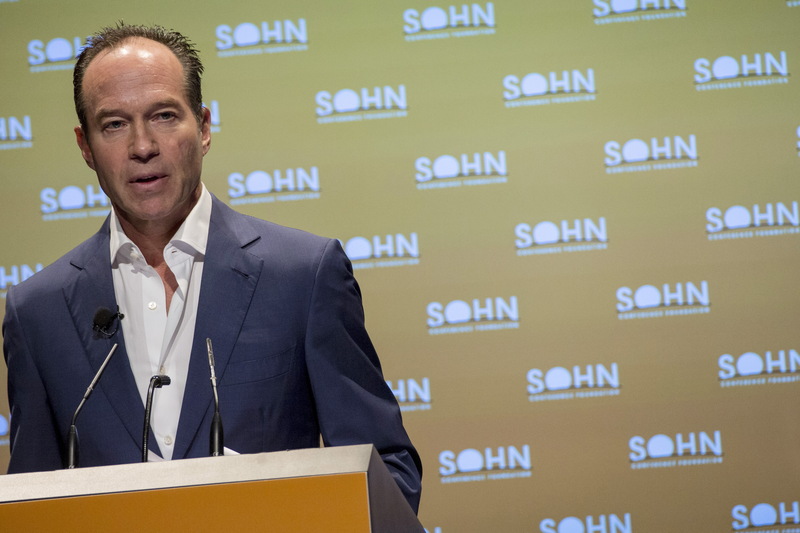 Barry Rosenstein, founder and managing Partner of JANA Partners LLC., speaks during the Sohn Investment Conference in New York May 4, 2015. Activist hedge fund Jana Partners sent a letter to EQT's board on July 31, saying it remains opposed to the natural gas producer's $6.7 billion deal to buy rival Rice Energy. Jana, which in conjunction with some partners owns a 6 percent stake in EQT, called the company's newly released synergy estimates "dubious." EQT said on June 19 it would use cash and stock to pay a 38 percent premium to Rice's undisturbed share price. Jana subsequently urged EQT’s board to break itself up rather than pursue the acquisition.